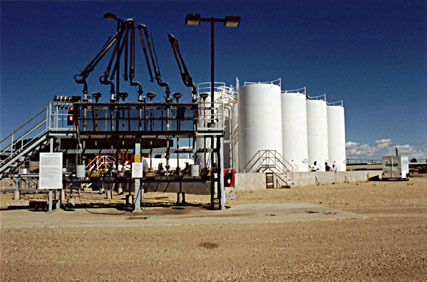 Commercial secondary containments for petroleum products or chemicals are subject to the regulations of the authorities having jurisdiction. Meeting the requirements of local, regional, or national authorities may require a selection of more than one type of geomembrane. Layfield can assist you in determining which geomembrane would be suitable for a particular region and application. Layfield's HAZGARD line of geomembranes is designed for the containment of fuels and chemicals in commercial and other applications. We also have geomembranes designed to meet specific regional and national specifications. Our HAZGARD 635FR geomembrane is a unique material that meets the fire code requirements for secondary containment in Canada. Give Layfield a call to have us assist you in determining which geomembrane would best suit your containment and location.